Find Marvin Integrity windows reviews from homeowners, past customers, consumers and industry experts. See how these Marvin windows stacks up against their fiberglass clad competitors. We are busy building a new home, but went over budget. We are desperately trying to cut our budget by around $30,000, which means we need to change our window choice. Originally we had chosen Marvin Integrity, but they are too expensive, so our builder said we should have a look at the Lindsay Windows, which apparently are vinyl windows. I don’t seem to be able to find much information on these and could do with some advice. I was considering Lindsay Windows a while ago and was quite impressed with them. Apparently they have been going since 1947 and I know they just opened up in Chicago. If you go to their webpage and have a look at the top right you’ll find their marketing link. If you choose than and then choose your window you will find all the performance numbers you need. In the end I had quotes from Sunrise, Lindsay and Okna windows and went with the Okna. The Integrity is a much better designed window that looks nicer that the Pella Impervia – obviously this is only my opinion. The Impervia seems flimsy, I guess proving the point that just because you buy a fiberglass frame doesn’t make it a good product. Some of the higher end vinyls (Sunrise, OKNA, Gorell) have better structural ratings than the fiberglass. The vinyls from Pella are low quality, just as the ones from Andersen are (marketed under Silverline and American Craftsman) – not a big fan of either of these companies if you couldn’t tell. I would suggest that the Marvin Integrity windows should be compare to the Milgard Ultra – both fiberglass frames, both good quality products and both good companies. For my home, I ended up going with the Milgards because they could match the interior color and Marvin could not. I also liked the Milgard lifetime warranty. Read all of our Milgard windows reviews. I am so impressed with the Inline tilt turns. They have just come onto the market here in northern America and I think they are going to do very well. They are such appealing windows, easy to use and opening in different directions. They are easy to clean, improves ventilation and have so many good benefits. I just completed a home renovation where we used the Integrity Wood Ultrex windows, but had I known about the Inline windows sooner, I think I would have used these instead. I did some checking and I am not super impressed with the ratings of the Integrity – just sort of middle of the road and I paid a good amount for these windows. The Ultrex casements have a DP50 rating and the Ultrex slider has a DP30 rating. I was told by someone who seems to know alot about windows that I should have gotten a casement instead of the double hung because I live in a high windo area (not that it does me any good now) because they have a better compression seal when closed. I just finished the installation on some Integrity windows — which have a fiberglass exterior and a wood interior. They look really good and I’m confident that the fiberglass exterior will hold up over time (although we shall see). I thought that the mounting system was somewhat flimsy, mainly because of the mounting flange. It’s a very thin fiberglass/vinyl material that slides into the slot. I mainly install aluminum windows, which typically use sturdy mounting flanges constructed of aluminum that seem much more solid. Not sure if this is a change in the works for Marvin but I’d be interested to hear more on this. The only other knock I have on the windows is the lack of options available for the Integrity. My own personal recommendation is the Andersen 400 series, which is wood interior, aluminum exterior. An awesome buy if you get a good price. 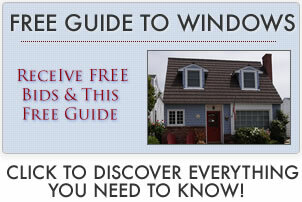 Read all of our Andersen windows reviews.